… well, not literally, mind you! But there are places in my oboe/English horn part in this chamber music version that I’m doing with San Jose Chamber Orchestra that are from the trumpet part. Between those parts and the places where I have to hold my oboe up above the stand I really do start thinking I’m a trumpet player. Well, okay, maybe only a little bit, but I think that counts for something. (Not sure it’s a good something or a bad something, though.) Too bad I still have to make reeds, though. Need tickets to the performance? Click here! How are you today?I got your contact email while searching for Music teacher on the internet. I have a daughter(Vicky) who is interested studying instrument you are ready to offer. Vicky doesn’t have any previous in the instrument but she is ready to learn. She’s a 16 year old girl with a very sharp brain. she’s coming down there to your location for the lessons. I want Vicky to come over to your present location to attend the lessons before she will finally come to Frankfurt Germany to stay with me. If you have agreed to accept Vicky as your student,please get back to me with the following information..
Total fees for one months lessons(Two hours lessons in a week)? Your teaching location and phone number? I want the lessons to start by 19th of March. PLEASE DONT REPLY ME IF YOU ARE UNAVAILABLE TEACHER. Nope. She won’t hear from me. And I’m sorry to read of his death. He was only 66. … and of course I knew that while he sang this song, “I Wanna Be Free”, he wouldn’t wanna be that way if only he met me. Hah! I had to explain what a real orchestra pit is. One might wonder about why I had to explain too. Why is a student unfamiliar with that? Hasn’t the student ever attended anything I play? No, in fact, most of my students never attend concerts I play. Sad, but true. They are busy, I’ll grant them that, but mostly they have little or no interest in hearing a professional group. I’ve encouraged them. I’ve even, in the past, offered comps to them. Never do they take me up on that. (I’ve given up at this point.) They want to play an instrument, but they don’t want to hear them being played. I find that incredibly puzzling, and quite distressing as well. I wonder if I’m the only one who has such disinterested students. Am I doing something wrong? 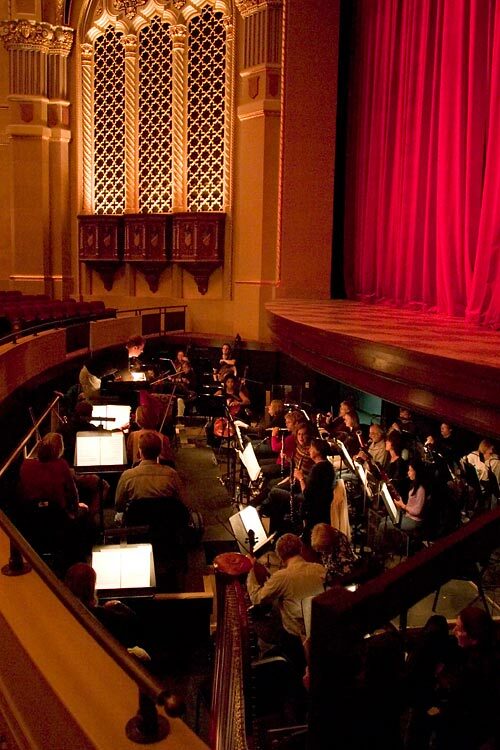 Meanwhile … here are a few photos of the California Theatre that include the orchestra pit, taken by Bob Shomler, put up with his permission (Thanks, Bob!). I just made the best reed of my life ever. It is unlike any reed I’ve made before – it was an accident and I just kept going with it. Now, an hour after intense playing, I’m not even tired. It’s stable, in tune, articulates low reg, don’t need teeth for highest notes….I must make more. Keep you posted. It is only 67mm long – for you oboe geeks out there…I’m in heaven..
played oboe for an hour and i still can’t play middle C.
Anthony Freud, general director of Lyric Opera of Chicago, today announced details of its new world premiere. Bel Canto, by the gifted young Peruvian composer Jimmy López, with a libretto by Pulitzer Prize-winning playwright Nilo Cruz, is based on the best-selling novel by Ann Patchett. 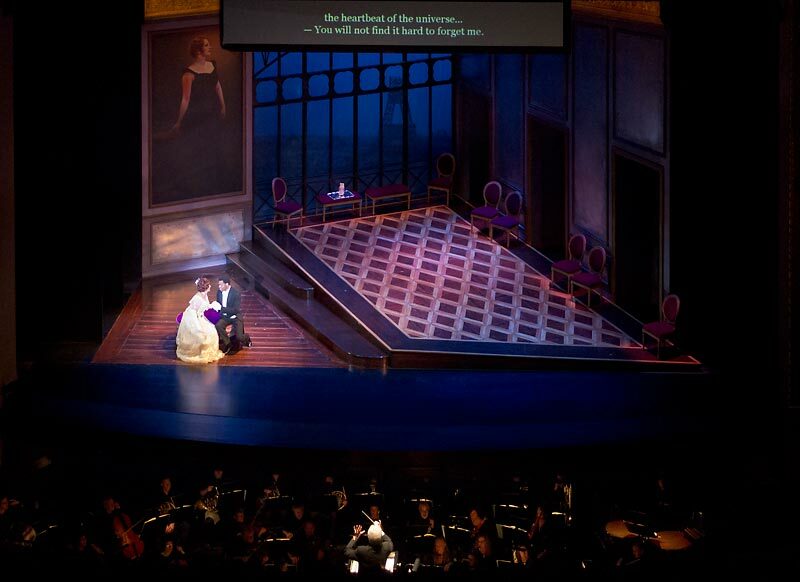 To premiere in Lyric’s 2015-16 season, the new opera, commissioned as part of Lyric’s Renée Fleming Initiative, will be conducted by Lyric music director Sir Andrew Davis and directed by Stephen Wadsworth. Both the 2001 book and the new opera are inspired by the Lima Crisis of 1996-97, when members of a revolutionary movement in Peru held hostages at the Japanese ambassador’s house for 126 days (Dec. 17, 1996-April 22, 1997). Central to the story is the fictional famed American soprano Roxanne Coss, who will be portrayed by Australian-born American soprano Danielle de Niese. Like the novel, the opera will explore the tensions and unexpected alliances that develop when a group of culturally disparate strangers – the terrorists and their hostages – are confined in close quarters for months. I read the book when it was popular (and I had a Costco membership so I bought it for very little) and enjoyed it. It’ll be interesting to hear the opera eventually … if it succeeds past its opening, of course. Who knew? Now I know something else I might be able to pursue, should work grow even scarcer. Whew! “I just like how [elk calling] sounds and how it is different from other animals,” said Kenny. There are several elk calls and different instruments are used to produce the sounds. What makes Kenny a national competitor after only three years? His father thinks his son’s musical ability may be the key to his success. The reed can call a bull. Somehow that seems rather appropriate.